Honor, which enjoyed tremendous success this year with the Honor 9 Lite smartphone is gearing up to launch a new smartphone, dubbed as Honor 9N in India on July 24. Ahead of the launch, Honor has now confirmed that the upcoming Honor 9N smartphone will be exclusive to Flipkart. Notably, the Honor 9 Lite is also exclusive to Flipkart in India. The Honor 9N is the same Honor 9i (2018) smartphone which the company launched in China a couple of weeks ago. The device will sport a notched display, Kirin 659 SoC, dual rear cameras and glass back. “We have had a long-standing and trusted partnership with Flipkart for launching some of our best selling smartphones in the Indian market. We are delighted to announce that Flipkart will be our exclusive online sale partner for Honor 9N, our new smartphone. Accessibility to the consumer is one of the most important aspects that we consider while launching a new product and this strategic partnership with Flipkart assures us of that. Flipkart shares our vision to deliver the best value to consumers and strongly believe that this partnership will further help us strengthen our position in the Indian smartphone market,” said P Sanjeev, Vice-President Sales, Huawei India-Consumer Business Group. As we stated earlier, the Honor 9N will most likely be the rebranded version of the Honor 9i (2018). The 2018 version of the Honor 9i has a 5.84-inch Full HD+ display on the front with 19:9 aspect ratio and 2280×1080 pixels resolution. The Honor 9N will be the company’s fourth Honor smartphone with Kirin 659 SoC and fifth device overall from Huawei in India. The other devices are Honor 9 Lite, Honor 7X, Honor 9i and the Huawei P20 Lite. The Honor 9N could be launched in various memory options with 3GB/4GB of RAM and 32GB/64GB/128GB of internal storage. Otherwise, Honor could launch the device only with 4GB of RAM and 64GB/128GB of internal storage. 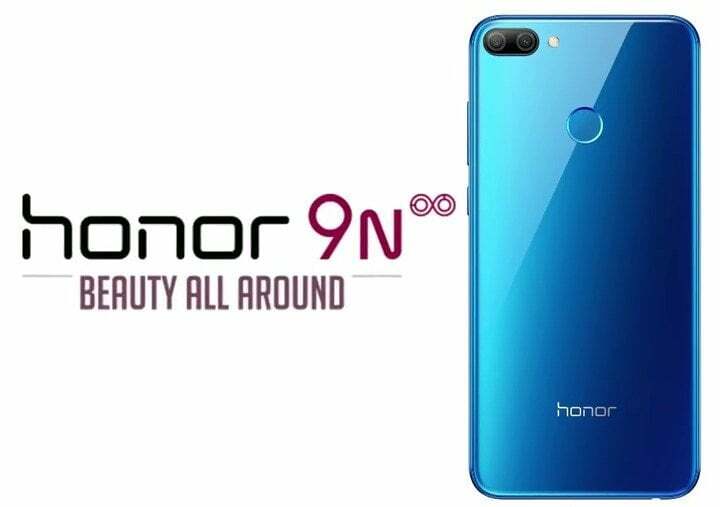 The Honor 9i (2018) boasts of 13MP+2MP dual rear cameras and a 16MP selfie shooter. It boots Android 8.1 Oreo out of the box and is backed by a 3000mAh battery. As for the pricing, Honor is expected to price the Honor 9N at Rs 13,999 for the base variant and Rs 16,999 for the premium variant.